Happy New Year! How’s January going for you so far? (Doesn’t it feel like the longest month EVER?!) I hope 2018 will be a great year for all of us. January has kicked off with a record-breaking number of sign-ups for the annual Veganuary – a month long commitment to following a vegan diet and who knows – maybe even sticking with it! Thanks to the Veganuary motivation last year, my husband and I have been officially vegan for a whole year and we have no intention of turning back! 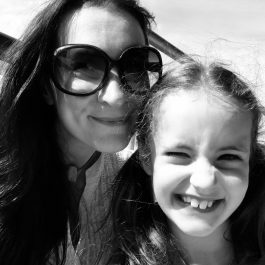 I’ve been slacking a little in the ol’ blogging department. But I do feel motivated by the number of vegan newbies around, and I thought it would be nice to have a few ‘vegan basics’ recipes here. Stuff you might turn to on a very regular basis as a vegan – when you’re scratching your head about what to make for lunch. So first up we have scrambled tofu. We eat this a lot, usually piled on top of beans on toast (preferably sourdough!). Cold leftover scrambled tofu is transformed into egg mayo by combining with the very best vegan mayonnaise money can buy (for me, it’s this one: Follow Your Heart’s Soya-Free Vegnenaise) and put in sandwiches the next day with a little cress and cucumber. 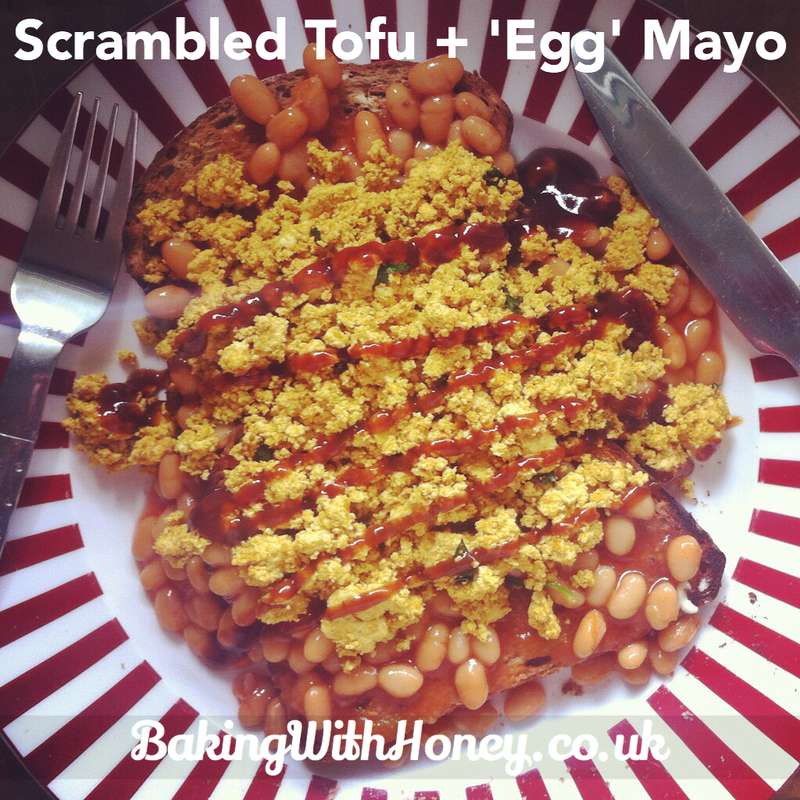 Scrambled tofu is honestly amazing! It also packs a huge punch of protein if you’re worried (“where do you get your protein?” Like, literally EVERYWHERE). Funnily enough, my daughter loves this too – but she would never touch actual scrambled eggs in a million years. I’m not fibbing when I say I prefer this version. You know that hideous feeling when you crunch into a bit of egg shell? Well for a start, there’s none of that! So get thee to a supermarket, grab a block of tofu and banish sad lunches with this awesomely fast and simple vegan recipe. In order to push this into truly I-can’t-believe-this-isn’t-eggs territory, you need kala namak salt. Sometimes called black salt – I don’t know why? – it’s a dusty-pink looking salt and and smells sulphuric, like eggs. A pinch of that and you have knockout scrambled eggs tofu. Do not confuse it with pink Himalayan salt! I bought some kala namak online for under £5 about a year ago – I’m still using it. A little goes a very long way, so cough up and enjoy! 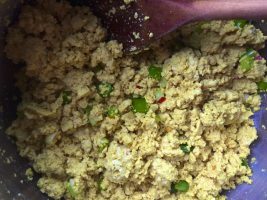 For ‘egg’ mayo: simply combine the cold scrambled tofu with a few tablespoons of your favourite vegan mayonnaise. 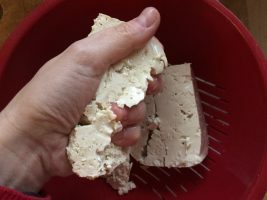 Place the block of tofu into a colander and use your hands to squeeze out the excess water. Don’t worry about trying to remove all of it (you can’t! ), just squeeze it as best you can and let it naturally crumble. In a separate little bowl, combine the lemon juice, soy sauce, turmeric, kala namak salt and chilli and set aside. 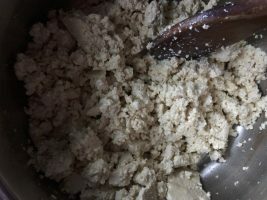 Heat a tablespoon of oil in a saucepan and gently cook the tofu over a low heat. Don’t try to fry it – you’re just trying to get it nice and hot (the heat will also help evaporate any remaining water in the tofu). Use a fork to mash up any remaining clumps. You know what you’re aiming for (you know what scrambled eggs look like!) Sprinkle the lemony mixture all over the tofu and continue to heat, stirring all the time, for another minute or two. If you’re adding chopped chives or spring onions, do it now. Serve hot on toast or however you please. If you want to make ‘egg’ mayo, allow it to cool completely then combine with a couple of tablespoons of your favourite vegan mayonnaise. 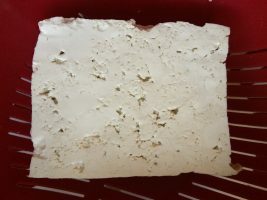 It will keep in an airtight tub in the fridge for about 3-4 days.